Catalog > STATIONARY > NCR | CARBONLESS | RECEIPS BOOKS > 2 PARTS NCR | CARBONLESS | RECEIPTS BOOKS > 5000 NCR 8.5x14 Carbon Less. 5000 NCR 8.5x14 Carbon Less. 2 Parts 1 COLOR NCR Carbon Less. What is an NCR form? NCR or carbonless forms, like the name suggests, have eliminated the need for carbon paper between sheets to create multiple copies of the same form. The paper is chemically treated to transfer the impression from the first page to the subsequent pages with very little pressure. For those of you who are scientifically inclined, the bottom side of carbonless NCR paper is coated with micro-encapsulated dye that breaks when pressed. The top of the second sheet is coated with clay that reacts with the dye to form a permanent mark. When the top sheet is written on, the pressure causes the micro-capsules to break and release the dye. 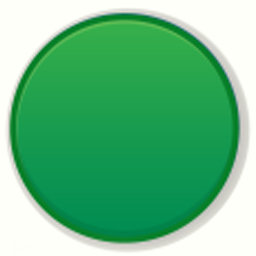 What are NCR and carbonless forms used for? NCR forms have a myriad of uses with some of the most common being invoices, statements, purchase orders, contracts, work orders, applications and receipts where multiple copies are needed for customers, sales people, accounting, agents, mechanics, workers, etc. 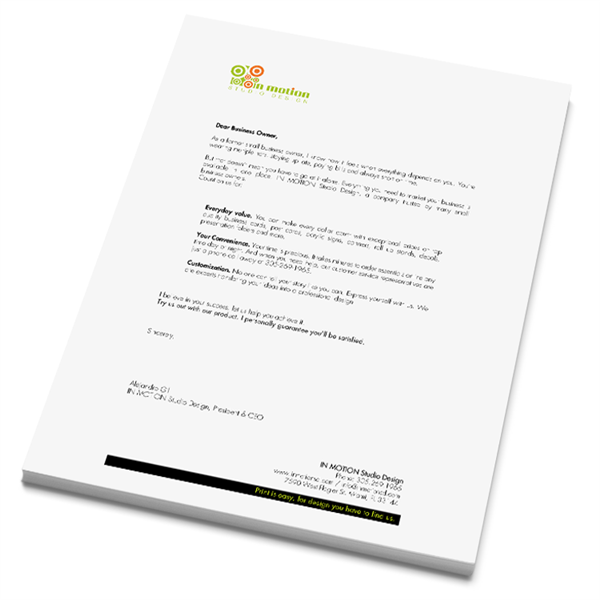 Standard sizes for NCR forms are half page 5.5" x 8.5", full page 8.5" x 11" and legal 8.5" x 14" although custom sizes can be ordered to meet your specific need. 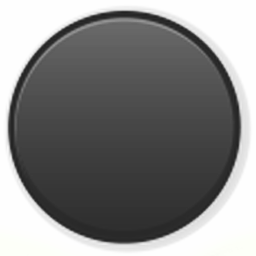 The design orientation can be either vertical or horizontal. The link below gives you access to design templates that can be used to lay out your form in the appropriate size and orientation. 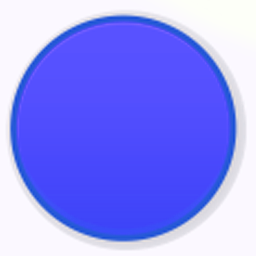 Carbonless forms can be printed on one side or two. 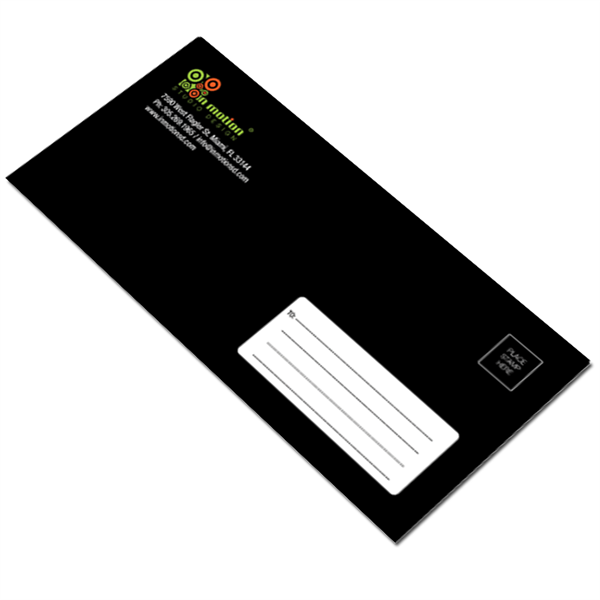 Typically the front side includes the company logo and contact information as well as the form. 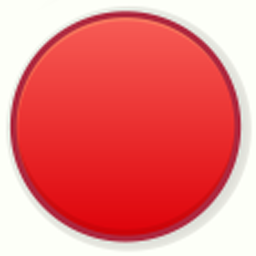 The back side can be used for legal information or detailed instructions. NCR forms can be printed using 4 differents colors. 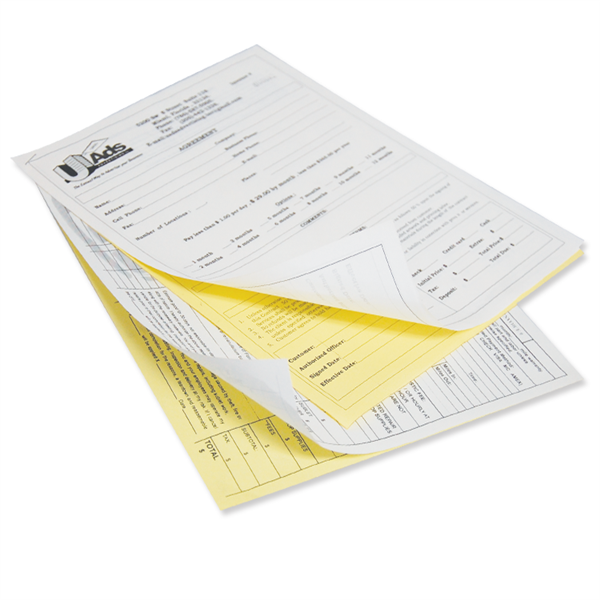 NCR forms can be ordered loose, padded, a common practice for invoices or receipts. 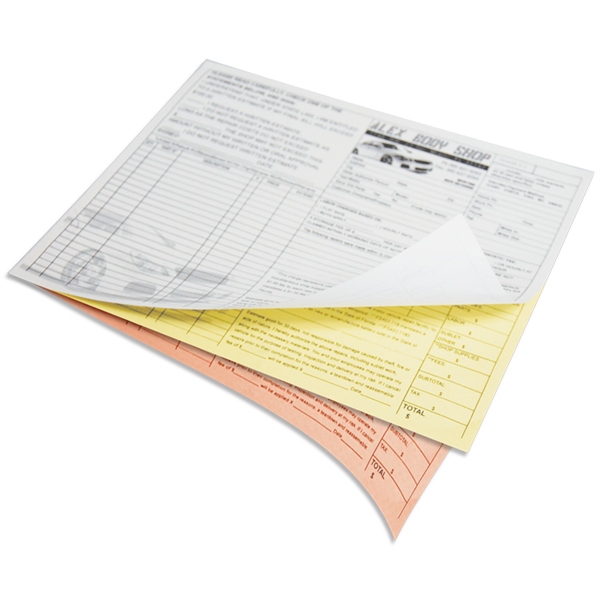 NCR forms can be padded in sets of 100 and come with a chip board backing. NCR forms can be numbered for essential record-keeping. Just specify the starting number and all forms will be numbered sequentially. 1000 NCR 8.5x5.5 Carbon Less.